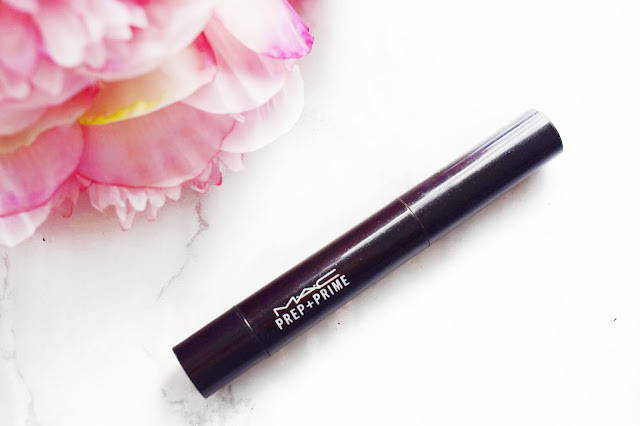 I am going to start this blog post by being completely honest with you guys and admitting that I am completely in love with this MAC Prep and Prime in the shade Lightboost. A while ago, this was a massively popular makeup product all over YouTube and blogs thanks to Kim K using this in one of her contouring and highlighting routines. I am sure that we can all remember seeing that picture of her with crazy yellow lines all over her face and it was a product like this that she used in that image. So naturally, I had to go out and try it for myself, it is safe to say that I really love this product and I have been reaching for it almost every single day. I have tried a couple of the MAC Prep and Prime sticks in the past, but I have never tried the shade Light Boost and I was so excited when I finally picked this up and started to give it a go. I am sure that by now you guys will know all about this product, but for those of you who don’t know, this is a cream highlighting product that is a yellow toned product which is incredible for correcting and highlighting with. This has really turned into a cult classic product with the likes of celebrities and Youtubers trying it out and that is why I wanted to do a review for you guys. The first thing that I want to talk about is the packaging. I know that some of you don’t really see the point in me mentioning the packaging, but I like to talk about it first because packaging for me can be a deal breaker. If a product has good packaging, I will opt for it time and time again. But, if a product is amazing and in shoddy packaging, it will live at the back of my drawer until it is time for another clear out. I personally really like the packaging of this MAC Prep and Prime in Lightboost. It is in a sleek tube, with a brush at one end for application and you twist the product up using the opposite end of the tube. I know that some people thought that the built-in brush wouldn’t be good for breakouts, but fortunately for me that isn’t a concern of mine and I simply use it to brighten underneath my eyes. I like to use this product by applying small lines of this underneath my eyes on top of my foundation and concealer. I know that may sound like a lot of product but trust me when I say that it never looks cakey, creases or causes me any issues. This is a very lightweight formula and that is why I like to layer it on top of other products. I let my foundation and concealer do the hiding of my problem areas and then I reach for this MAC Prep and Prime to actually highlight and brighten certain areas of the face. That means that I don’t apply much of this, but the product which I do apply does an incredible job. I would say that the consistency of this is medium. You can see the colour and the effects of the brightening, but it is in no way full coverage. I have tried applying this on my problem areas and my under eye darkness to try and hide the issues, but it doesn’t hide them enough to suit my needs. I am sure that many people could use this to conceal, but it just isn’t enough for me personally. If anybody was thinking about trying this out for themselves, I would recommend going into a store and trying it out for yourself and get a feel for the level of coverage, consistency and how it blends in. I really do love this product and I think that I have made that quite clear with this review. I love how this brightens certain areas of my face without making it feel thick in product or cakey. It makes me look so much more awake and it blends into the skin like an absolute dream. This is a cult classic product for a reason and that is because it really works beautifully. I am hooked on this and I cannot see myself using anything else for a very long time. I will leave a link to this down below in case you want to check it out for yourself. Make sure to leave me a comment and let me know if you have tried this and what you thought about it!